Define a process to organize your clients, create scarcity and focus your time. 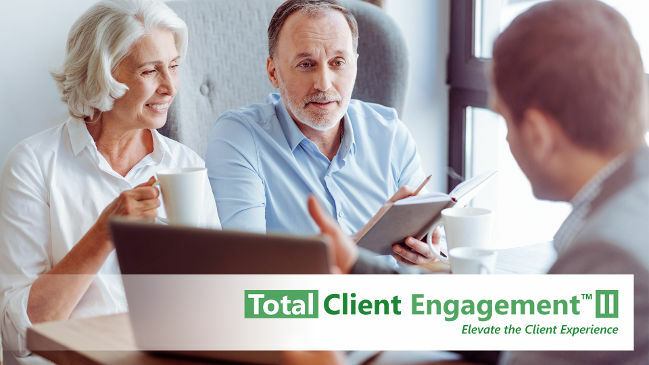 As a continuation of Total Client Engagement: Become their Personal CFO, Total Client Engagement II defines a process to organize your clients, create scarcity, focus your time, energy and money resources, build client-centered relationships and ultimately elevate the client experience. Two Month Program and approximately 2-3 hours per week for program study and implementation. Total Client Engagement II includes an onboarding call, two linked and sequential coaching calls, and two implementation "check-in" calls with a Pareto Business Consultant. The program is supported and made actionable by the Pareto Academy, which is an online virtual coaching application that contains additional step-by-step resources for implementing the strategies in each module. Resources include videos, articles, scripts, templates and worksheets. Create a client classification framework based on assets, attitude and advocacy that will effectively sort and organize your new and existing clients in a meaningful way. Define clear criteria for desired assets, attitude and advocacy of an ideal client and establish a clear criteria for accepting or rejecting a potential client on the basis of assets and attitude. Establish clear criteria for classifying existing clients on the basis of assets, attitude and advocacy. Finalize your client classification framework for implementation. Utilizing the client classification framework, gain clarity on where the value really exists in your business and focus on what matters; your best clients. Identify your most valuable clients. Implement a strategy for reducing the number of less desirable clients. Create a structure to maximize chemistry and rapport with your best clients by tapping into what is important to them. It is a pre-requisite to providing the highly personalized service they deserve and expect to receive from you. Build the foundations for client-focused relationships that transcend money. Increase your awareness and understanding of the specific needs, desires and goals of your best clients (AAA, AA and A clients). Enhance the level of trust you and your team have with your best clients. Elevate the client experience and ensure you and your team deliver ongoing client service with the highest degree of consistency and predictability by implementing a Service Matrix. 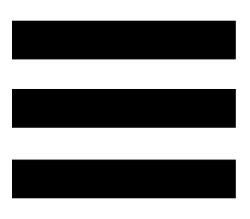 Consistency is a fundamental element of trust and overall client satisfaction. Improve client loyalty and build higher levels of trust with your best clients. Implement a fixed service package for each client classification group. Use time, energy and money resources efficiently in delivering the Advocate Service. Create procedures for each service activity to ensure consistent and flawless delivery. 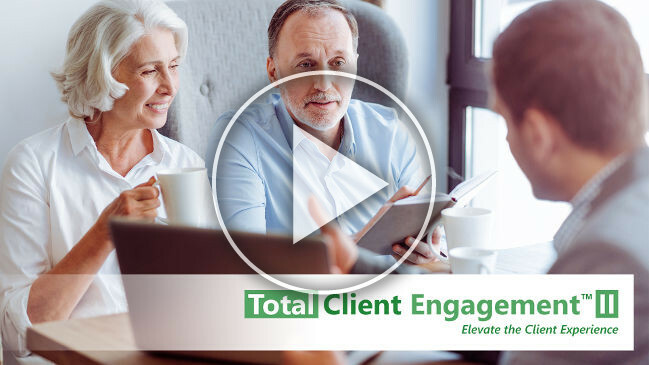 To learn more about Total Client Engagement II simply click on the button below to schedule a Pareto Systems Introductory Call with one of our representatives or fill out the form with any questions you might have.